Trying to build a business from scratch is tough. Trying to do it alone is even harder. While brilliance and grit are integral components to building a resilient business, there is no substitute for experiential knowledge. The right advisors can be crucial to achieving long term sustainability. Having someone in your corner to guide you is an invaluable, and often underestimated, means to enduring success. Mentorship has been known to accelerate careers and enrich professional lives. In fact, most successful people, can attribute their achievements to the presence and guidance of a mentor. And the rewards aren’t one-sided. Mentees gain powerful, first-hand perspective and insight which allows to develop the ability to react and adapt quickly to changing situations. Mentors, too, are able to reflect on their past successes and further their learning, while making an impact as they nurture promising minds and products. 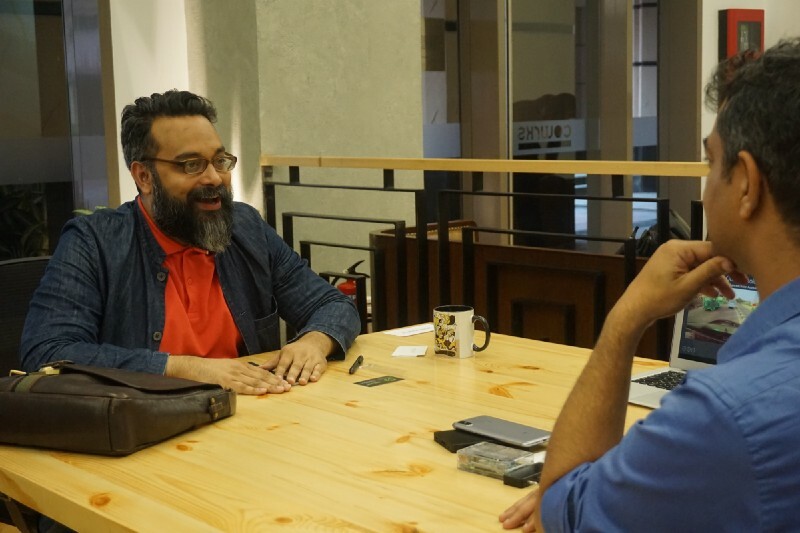 At The CoWrks Foundry, we’re strong believers in the power of the mentor-mentee relationship. As we have studied the effectiveness of building strong mentorship associations, we have come to realize that, particularly in technology, the imparting of knowledge and advice usually takes the form of technical manuals, certifications. At best, mentoring relationships are loosely modeled on apprenticeships or collegial associations. So, we’re re-calibrating the equation. We’ve modeled it on honest, intense coaching, rather than conventional mentoring. Through this relationship, we’ll be breaking through the surface to address thought patterns, evoke fresh inspiration, and unleash latent potential. Our aim is to cultivate personal conversations, by establishing connections built around shared interests, and mutual respect. Image: Closed Circuit, a carefully curated event at The CoWrks Foundry tailored towards that gives startups the opportunity to leverage expertise from industry titans. Finding the perfect match is critical. At the Foundry, we are of the firm belief that one size does not fit all. Persons on both ends of the spectrum struggle to find the right counterpart. Young founders are unable to make the right contacts, and even if they do, are hesitant to approach them. Mentors find it difficult to gauge the impact of their advice and without measurable outcomes, may find the whole exercise futile. At The CoWrks Foundry, we devote time to quality research while seeking out the right fit. While it would seem simple and straightforward to approach established mentors with enormous titles, we have seen that does little good in the long run. It leads to a lack of time commitment and results in generic advice to the mentee. Instead, we seek accomplished individuals with practical experience, and in-depth industry expertise. 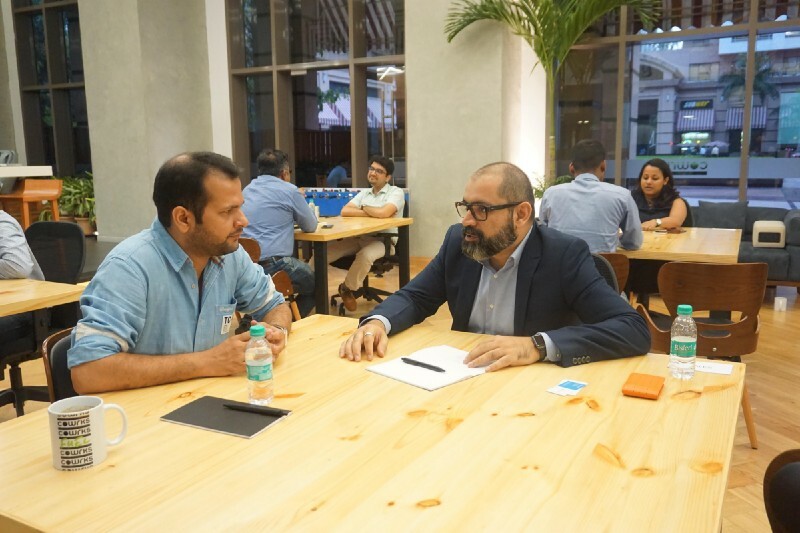 We also ensure that the experience gap is between 5 and 10 years so that the mentor is experienced, but still aware of the current startup landscape and can easily relate to the mentee. We will have a cohort of tailored industry coaches with commendable knowledge in their fields, whether product, revenue, scale or design. When we form mentor-mentee relationships over the course of the program, we pay special attention to the specifics. For instance, if a startup is facing a problem while designing their product, we will match that startup to a mentor with practical experience in tackling the same issue, who has achieved success in this area and can offer tried and tested tools & tips. This will help the mentor and mentee develop a strong, lasting rapport. Ideally, the mentee is expected to take initiative, by clearly explaining the problem that they are facing to the mentor. The mentor will respond by elaborating on their approach to tackling a similar challenge. The mentee will then add nuances to the situation, for instance, how conditions may be different, based on their specific business. In light of this context, the mentor may then provide additional suggestions or advice. In order to forge a successful partnership, consistency is critical. Mentors and mentees will meet twice a month, on alternate weeks. The first session will be an hour long and the rest of the sessions will last for about 30–45 minutes. The role of the mentee is not passive. Unless a mentee is deeply committed, before long, the relationship will start to become very one-sided. Right from the first session, the mentee will be charged with the responsibility of bringing the mentor up to speed with their startup’s journey and goals, while developing a detailed agenda for their subsequent sessions. A mentee will be required to put in the effort of preparing for the meetings with a list of specific questions and discussion points that they will need to share with their mentors beforehand. While it may seem tempting for the mentor to cover as much ground as possible. This will however, limit depth of discussion for each topic, and provide little or no ultimate value. It is instead advisable to stick to 2–3 key discussion points and address those in detail. Mentees will need to display openness — providing as much information as possible about flaws and vulnerabilities will help to improve the whole process and create a better outcome. That said, be specific with your mentor about the problem and challenge you want to tackle. This will help your mentor give you targeted solutions, rather than off-the-cuff advice. If a mentee is able to inspire, educate and display diligence, their mentor will naturally be willing to make a huge investment in the mentee. Unless a mentee is focused and committed, it is not a worthwhile use of a mentor’s valuable time. While we insist that both mentor and mentee meet in person at the first session, the following sessions can be arranged to both parties’ convenience. Take the time to discuss the finer details about one another, particularly career goals, dreams, fears and lifestyle. Invest time in thorough preparation for each session. Prepare a checklist or presentation deck for each meeting. Intentionally keep the content for each meeting incredibly focused. This will help with diving into each focus point in detail, without veering off course. Encourage mentees to develop their own insight by asking the right questions. Share practical examples from personal history. Give actionable, measurable advice rather than homework. Measure effectiveness by evaluating progress at each meeting. Provide positive feedback, alongside critique. Making mentorship work is no easy feat, but we’ve invested a lot of time and research into creating the right framework, because we know that this is a priceless resource that, unfortunately, most high-potential startup founders lack. If you’ve chosen The CoWrks Foundry, your business and your personal goals are in expert hands.